These are great times for Stumpy Gully lovers. 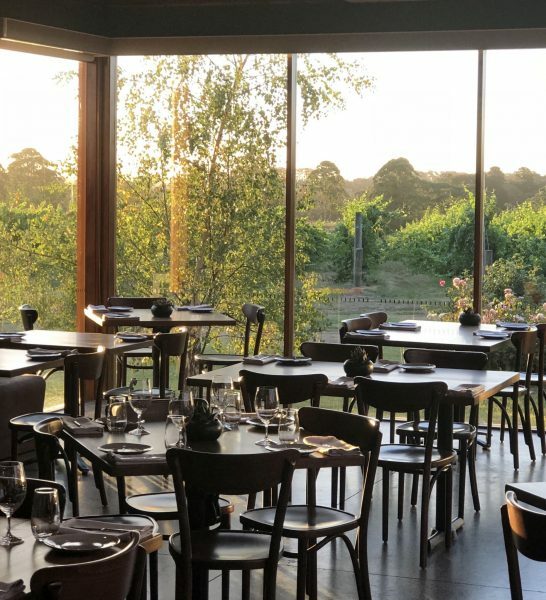 Holding true to 30 years of history, we’ve created a restaurant dining experience that immerses you in the world of a true working winery on the Mornington Peninsula. You can savour that thought while enjoying our seasonal Modern Australian menu that’s been crafted to perfectly compliment the award-winning wines. The best part is knowing that you’ll be one of the few people to enjoy a wine that was grown, bottled and served in the one place, as we limit seats to 60 guests to ensure your enjoyment is not lost in the crowd. We recommend you book online below or call 1800 788 679 (menu option 1) to ensure you reserve your place amongst the vines. Common allergy food products such as eggs, nuts, dairy, gluten, seafood etc are all present in the kitchen here at Stumpy Gully. Please inform us of any allergy requirements (including the severity) amongst your table when making the booking. Whilst all attempts are made to cater to these requirements, we reserve the right to refuse service if the risk is deemed too high.